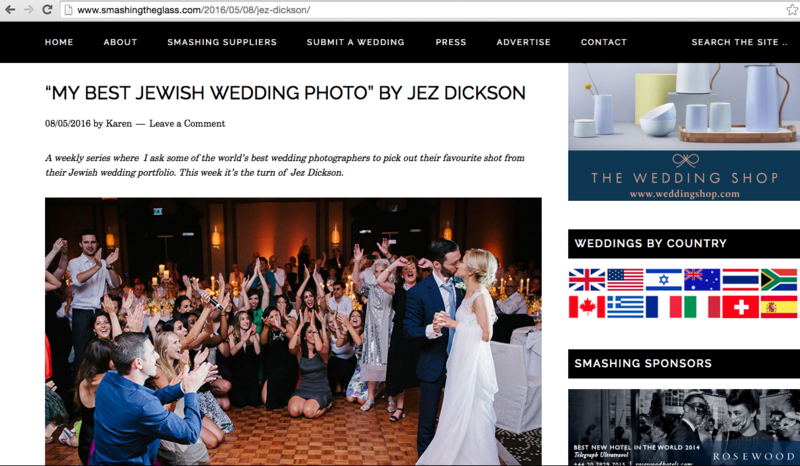 Smashing the Glass, the online authority on all things Jewish Wedding have very kindly featured one of my images in their “My Best Jewish Wedding Photo” series. The article itself can be seen just here as well as a bounty of info and tips designed to help you along the way when it comes to planning your very own Jewish Wedding. Well worth a visit!